Co. Meath: Ardbraccan (3), Ardmulchan, Bective, Castletown (2), Donaghpatrick (2), Kentstown, Navan (5), Painestown (2), Rathkenny, Stackallan, Stane, Tara. The Board also included 7 ex-officio Guardians, making a total of 28. The Guardians met at the workhouse every Wednesday at 11am. 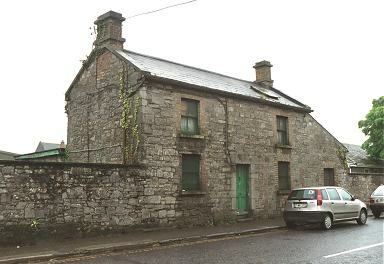 The population falling within the Union at the 1831 census had been 34,482 with Divisions ranging in size from Bective (population 1,041) to Navan itself (9,799). 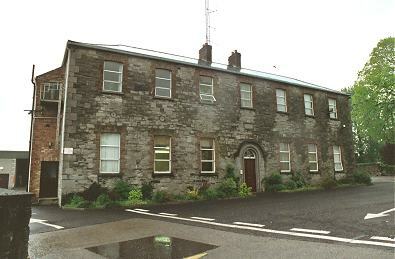 The new Navan Union workhouse was erected on a 6.5-acre site at the west of Navan. The workhouse was declared fit for the reception of paupers on 28th March, 1842, and received its first admissions on 4th May. 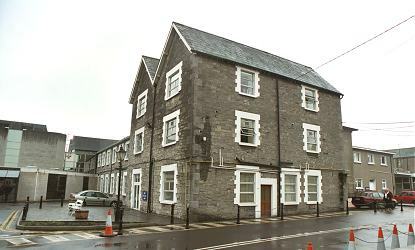 Designed by the Poor Law Commissioners' architect George Wilkinson, the building was based on one of his standard designs to accommodate 500 inmates. Its construction cost £5,700 plus £1,081 for fittings etc. The workhouse location and layout are shown on the 1912 map below. The entrance and administrative block was a long two-storey building with three-storey cross-wings at each end. 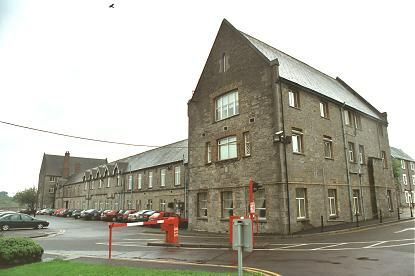 The main accommodation block lay to the rear. It was connected via a central spine to an infirmary block at the west. During the famine in the mid-1840s, fever patients were initially sent to the County Fever Hospital, but a fever hospital was later erected at the east of the workhouse site. A coal store was also converted into accommodation for an extra 30 inmates. A dispensary was located at the north of the fever hospital. 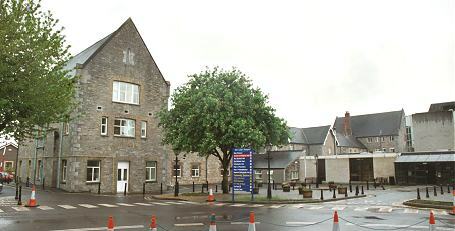 The former workhouse site is now occupied by Our Lady's Hospital. Meath County Library, Railway Street, Navan, Co. Meath. Holdings: Guardians' Minute Books (Jul 1839 - Mar 1920, with some short gaps. NB - volumes 1 to 70 (1839-83) available only on microfilm); Rough Minute Books (Sep 1872 - Mar 1873, Aug 1918 - Dec 1920 with gaps).